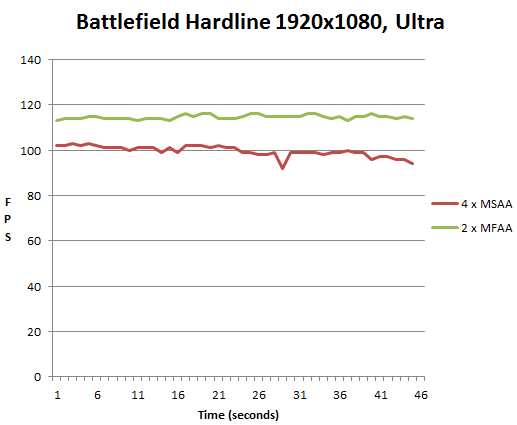 Battlefield Hardline is one of the biggest releases of the year, so we were really interested to see how NVIDIA’s new Game Ready Driver (released last week alongside the mighty GeForce GTX Titan X) could improve the experience for our customers. As we discussed in our recent Fusion Venom GTX overview article, there’s an exclusive new anti-aliasing mode called Multi Frame Anti-Aliasing (MFAA) that ships with Maxwell GPUs promising all the visual quality of 4x Multi Sample Anti Aliasing (MSAA) for a greatly reduced cost to frame rate. We wanted to see how this mode performs in this great new game. MFAA requires game-specific support, so keeping your drivers up to date is now more important than ever. Anti-aliasing, or "AA" for short, is a technique used to when rendering images on a computer screen designed to minimize the prevalence of "aliasing"; a visual artifact that looks like the steps on a stair on any diagonal line. Anti-aliasing uses a variety of techniques to blend the edges more effectively resulting in a much smoother line that's easier on the eye. One method for example is to render the scene internally at a much higher resolution, then down scale the resultant frame to your resolution. This works, but is very costly to performance. More advanced methods are now employed at a hardware level in modern video cards to provide a similar aesthetic result with a smaller cost to performance. Two such modes are the afforementioned MSAA and MFAA. Enabling MFAA is really easy. 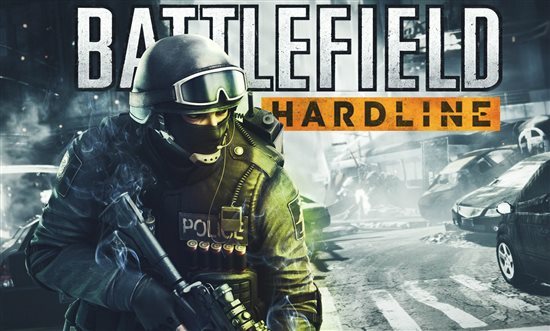 You simply load up the GeForce driver application from within the control panel, go to 3D settings and select Battlefield Hardline from the drop down menu. 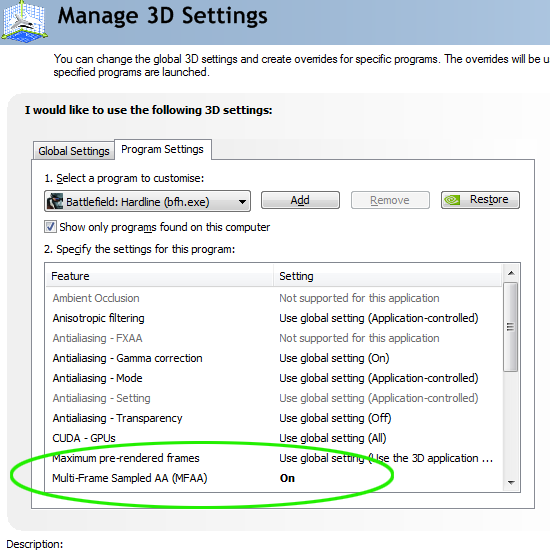 MFAA appears as an option in the menu below and you set it to “On”. Once in game you need to head to the options menu and set the Anti Aliasing mode to 2x MSAA . Save the settings here and you are done. 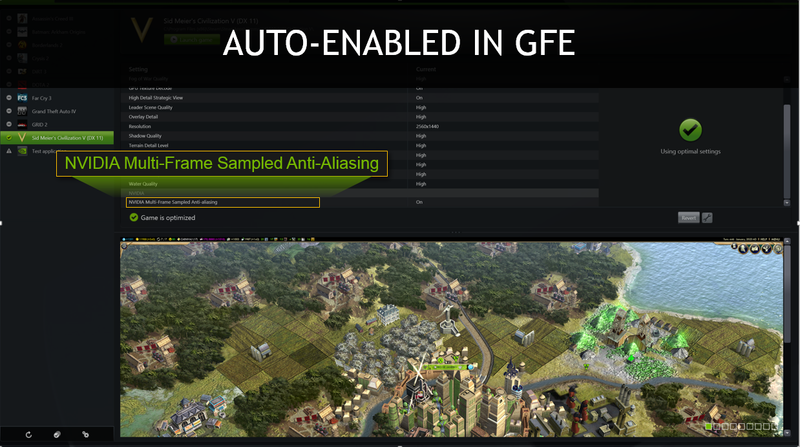 Alternatively if you prefer to use GeForce Experience to automatically handle and optimise all of your in-game settings MFAA is enabled by default. We fired up the game and set all of the settings to Ultra, and ran through the same cut scene with 4x MSAA and then again with 2 x MFAA. In both cases the visual quality was comparable, with MFAA looking extremely similar, but with slightly better performance in areas of sharp contrast. Where the two modes start to separate is in their respective frame rates. We used FRAPs to record the frames per second over the course of the benchmark and plotted the results in a graph. As you can see, the 2x MFAA enjoys a consistently higher frame rate than MSAA, but also a better level of consistency as well. These graphs are the mean values of three passes of the same benchmark and in each case the dip at 28 seconds was observed with MSAA. With MFAA enabled instead, the graph is considerably smoother. Here are the Minimum, Maximum and Average FPS over the run. We’ve also put together a video for you showing the frame rate difference but also the similarity in image quality on the Chillblast Youtube channel – be sure to subscribe as we are really going to ramp up the amount of content for you in the coming months.